It’s almost Christmas time, my favorite time of the year, and it only deserves a sumptuous dish I dearly love to prepare during special occasions/gatherings with family, friends and loved ones. 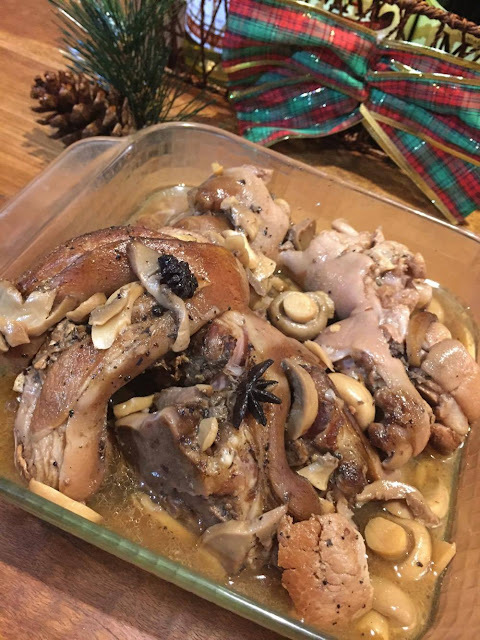 Pata Tim is a classic Filipino pork recipe that is often present at the dinner table during Noche Buena (Christmas Eve dinner) and Media Noche (New Year’s eve dinner). 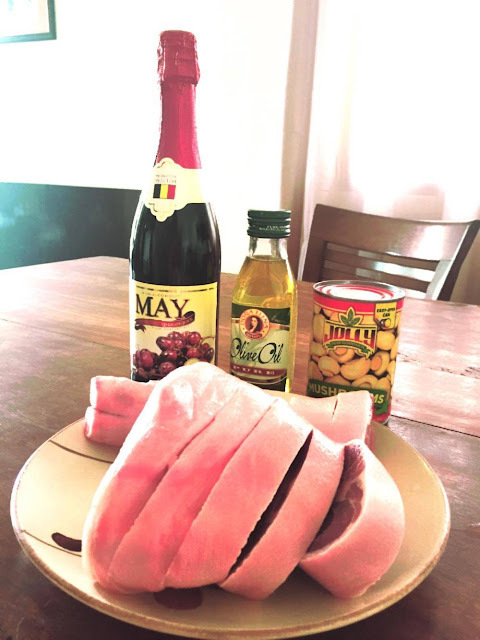 I especially love Pata Tim’s sweet and tasty sauce, taking pleasure on every bite of its melt-in your-mouth meat that's why I’m sharing the recipe here so you, too, can enjoy it with your families and loved ones as well. Thank you Fly Ace Corporation for the Jolly products I’ve used in this recipe. Have a meaningful Christmas holidays, everyone! 1. To give the meat more savory flavor, rub the pork leg surface with salt and pepper then sear or bake it for 10-15 minutes. 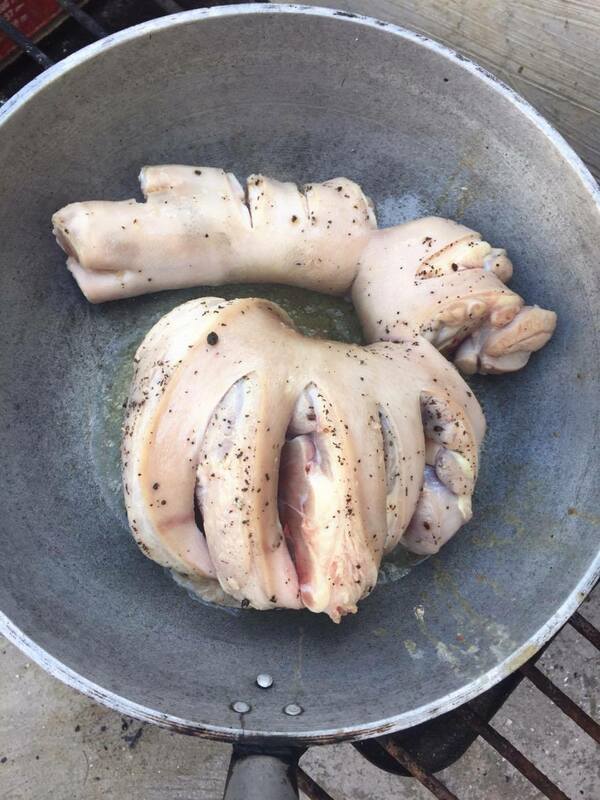 As for me, since I don’t have an oven, I just seared it on a pan with oil until it turned white and the redness of the meat disappears. Set aside. 2. 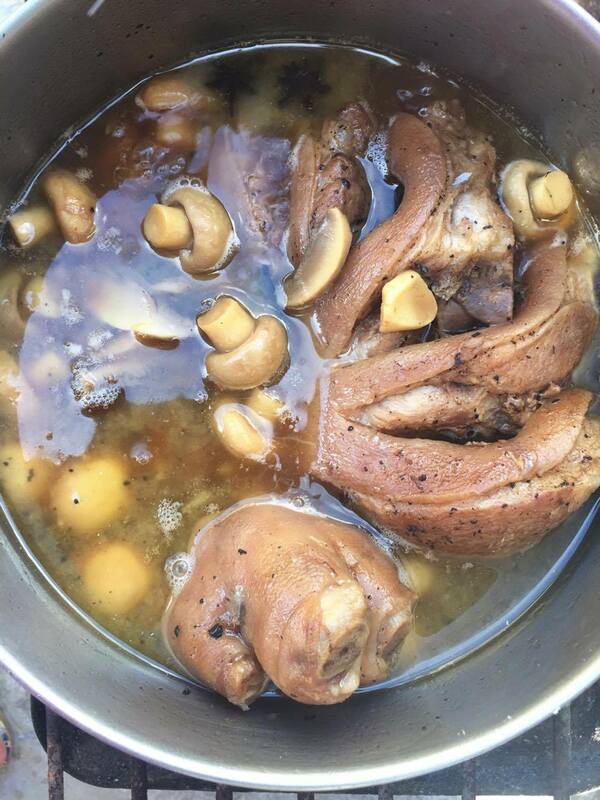 Combine the rest of the ingredients in a pot and add the pork leg. Cook under medium fire until it achieves the ‘fall-off-the bone’ tenderness, that’s about 2 hours. In my case, I cooked it using charcoal at our dirty kitchen to save gasul (electricity). 3. Serve while hot with rice. Enjoy!! !